Formed in 1981 by former members of Marine, funky ensemble Allez Allez issued popular mini-album African Queen before moving onto a major label for Promises, produced by Martyn Ware of Heaven 17/BEF. This expanded compilation features all tracks from both albums as well as singles and b-sides. Artwork by Emmanuel Riccardi. 13. How Can I Ever Make You Feel Me? Available on CD and digital download (MP3). Mailorder copies of the CD are dispatched in a special LDDC slipcase. To order please select correct shipping option and click on Add To Cart button, or else contact LDDC by email. From Brussels, Allez Allez formed in 1981 when fêted (fated?) 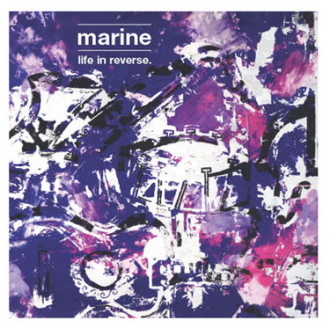 punk-funk band Marine travelled to London to record a radio session for John Peel, the very first by a Belgian band. The group, formed by guitarists Kris Debusscher and Nico Fransolet, together with charismatic frontman Marc Desmare, had already made waves with their debut single Life in Reverse, released by Les Disques du Crépuscule in April. That summer they gained a second singer, platinum blonde Sarah Osborne, who quit London band Repetition and began to spend more time in Brussels. In August Marine came to London to open for rising stars Altered Images, and record the BBC session at Maida Vale. Unhappily the fractious group imploded in the studio, with the result that Marc retained the name, while the rest of the band elected to continue as Allez Allez. Debut mini-album African Queen was quickly recorded in Brussels, though the new band quit Crépuscule for Scalp, a new label overseen by rock critic Gilles Verlant. The title was, incidently, an homage to Grace Jones. Thanks to the sprightly title track (also issued as a single) this debut sold in large numbers, boasting spirited vocals, funky drums, exuberant choppy guitars and lots of horns. Contemporary comparisons ranged from James Chance to A Certain Ratio to Ze Records. It was Crépuscule's loss. Stylish and glamorous jeunesse dorée, Allez Allez signed to major label Virgin in 1982 and recorded their second album in London and Brussels with producer Martyn Ware, of Heaven 17 and the British Electric Foundation. The group co-produced Promises as the International Dance Music Corporation; Sarah Osborne also met and later married Heaven 17 singer Glenn Gregory. Flesh and Blood and Valley of the Kings were issued as singles, promoted by shows including 'new jazz' event The Joy of Mooching at the London ICA in August, a performance at an empty Haçienda in Manchester, and the more populous Torhout-Werchter festival in Belgium. 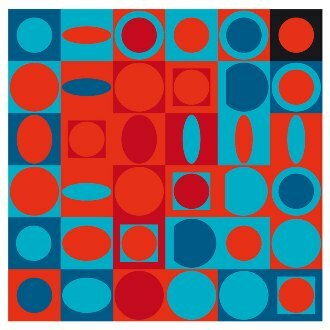 Poised sophomore album Promises was released in November, issued in different sleeves around Europe, the UK edition reflecting the influence of Mondrian and De Stijl. Indeed Allez Allez were almost too smart. "From the rough exuberance of African Queen it was clear that Allez Allez were going to have a hard time finding a niche to fit themselves into," explains Belgian journalist Michael Leahy. "Their rock background brought them into the rock gig circuit, yet they wore evening jackets and cocktail dresses, and pushed their way straight to the Godhead by listening to Tamla Motown producer Norman Whitfield day and night. The resulting blend proved one of the most intriguing of the period. 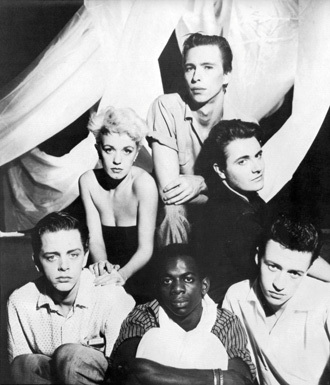 From 'Masterpiece' to black Africa, from The Clash to Grace Jones, Allez Allez were one of the first truly modern bands - a group that was unable to make a choice in life, so they chose to take it all." The sextet toured Promises around Europe, after which Sarah left to pursue a solo career. The group continued with a new singer, Jackie Irwin, and issued two more singles: Don't Bother Me, and Boom Boom Boom Boom. 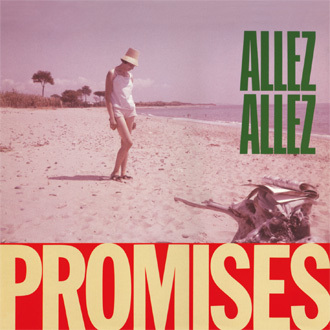 The latter, released in 1984, was produced by Mark Kamins and edited in New York by the Latin Rascals, but proved the last hurrah for Allez Allez. Subsequently, Kris and Nico founded a successful publicity agency, while bassist Markassou found fame in France as Marka, scoring with big hit Accouplés in 1995.